SendBlaster is a free bulk email software, a mass email marketing program and a bulk emailing sender. In today’s Internet marketing strategies, being on search engines is not enough: sales are a matter of trust. Web visitors become customers when you give them the content they’re searching for. 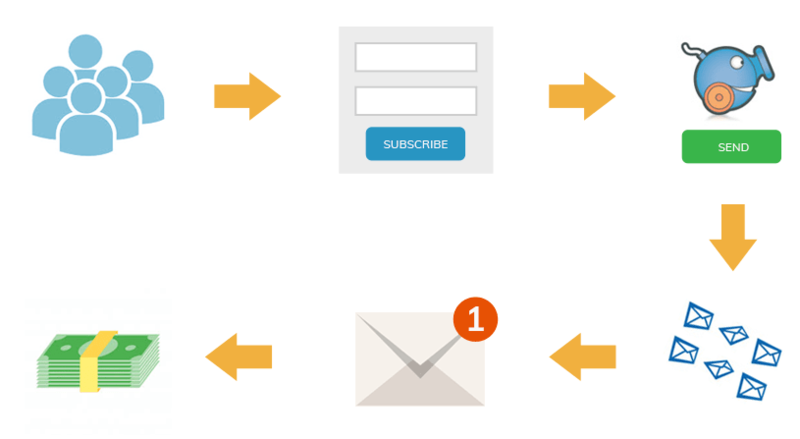 Emailing and sending personalized content is legal when you gather new mailing list users, using free opt-in subscription modules in your websites. When you catch interested subscribers the key for a winning and cheap email marketing is to mass email the prospects using a bulk email blast software as an email marketing program: the free mass email newsletter sender will automatically deliver mass emails and personalized emails to subscribed users in your emailing list. Turn occasional website visitors into recurring users and customers by sending legitimate and confirmed bulk email newsletters, updates and targeted email offers: using a downloadable bulk email software on your PC. Download SendBlaster Free Bulk email software, and send today mass newsletters and email offers. Download free php opt-in form mail newsletter subscription module for website mailing list permission legitimate subscription (verified double optin and captcha Php closed-loop opt-in scripts). SendBlaster bulk emailing software imports multiple user’s details into your local mailing list. Create or import.csv mailing list and start your customer oriented permission bulk email marketing. Send massive emails and contact multiple customers with one click send. Legitimate direct bulk email marketing: the best way of establishing a successful relationship with potential clients… sending bulk emails, with your contact’s permission of course!